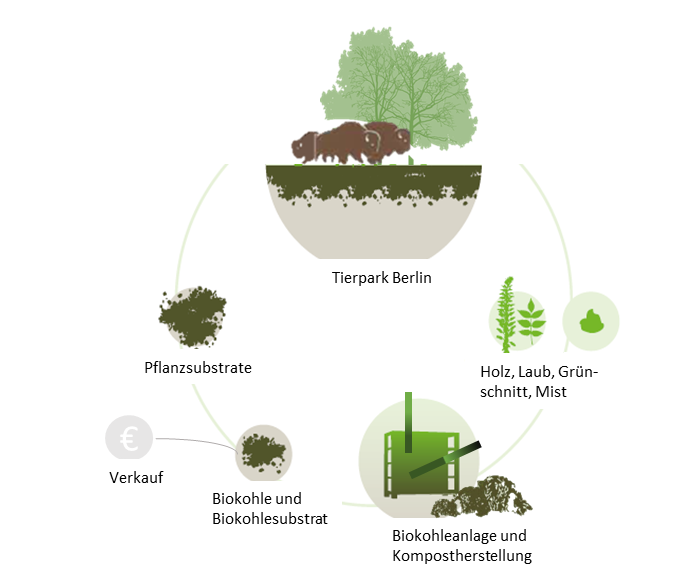 The basis of the project is the development and establishment of a low-emission and environmentally friendly waste management in TierparkBerlin by applying biochartechnology. In addition to the use of energy and the production of biocharfrom the woody residual biomass in the zoo, the carbonization of the extensive deciduous biomass (16,000 m3 / year) will be tested, which also represents a high potential for CO2 sequestration. As the most promising form of biocharapplication, the combination of biocharand biowastehas emerged for joint composting. During composting, biocharadditions can reduce methane, ammonia and nitrous oxide emissions.